I’ve been meaning to check out barra azul for quite some time now. 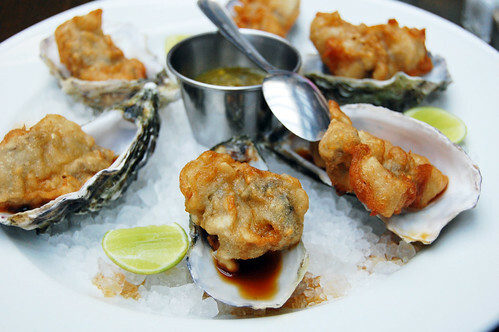 Baja Breeze Editor-In-Chief Carla White had suggested I try the Tempura Oysters and that’s all the motivation I needed. 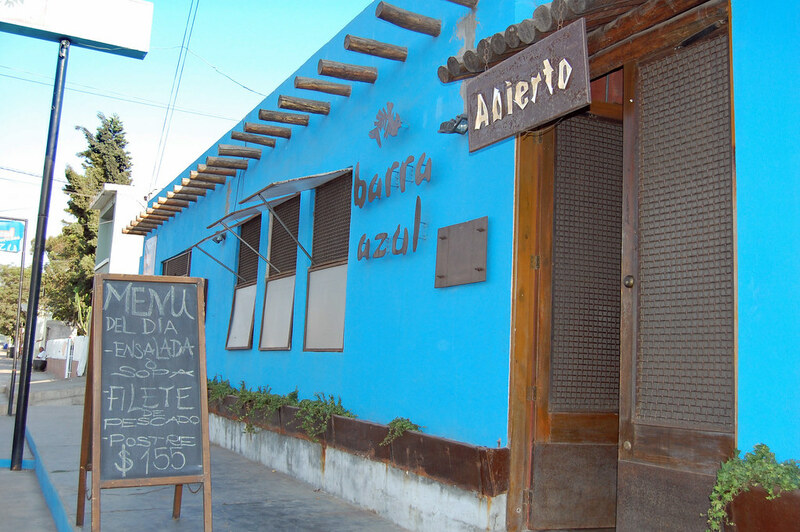 Barra Azul feels far removed from the restaurants that line the vibrant tourist zone along Lopez Mateos and provides the perfect setting for a nice relaxing dinner. 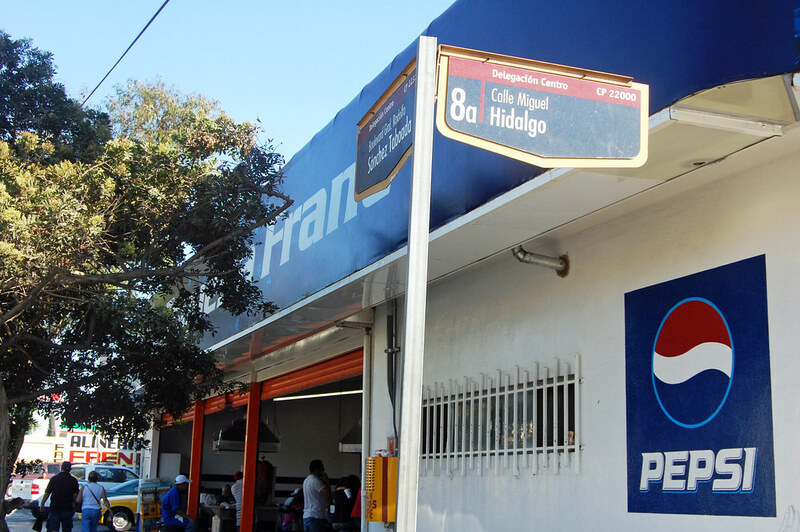 You can’t really miss the place when you’re passing by with its bright azul paint. 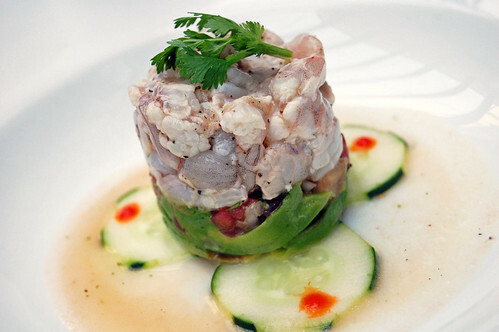 Barra azul specializes in shellfish and fish of the region prepared in a variety of ways. 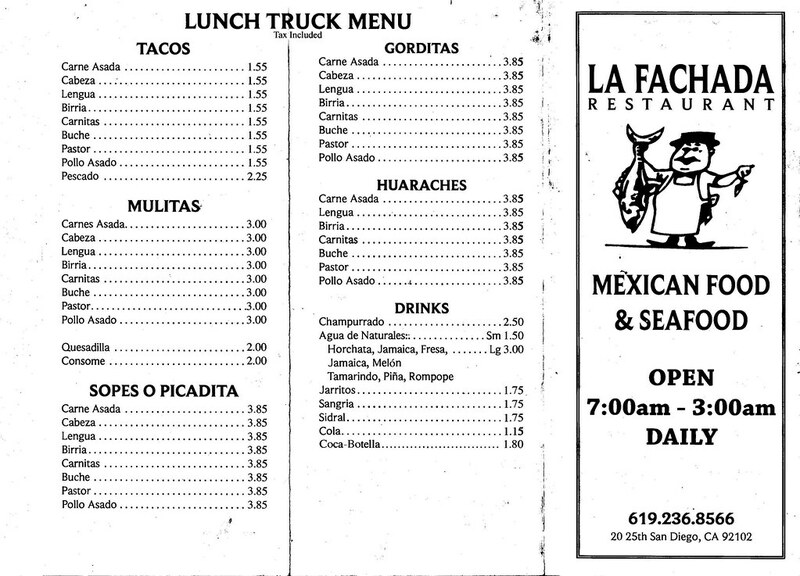 After scanning through the menu my wife and I were undecided on what to try so we left the ordering up to Chef Luis. While we waited for our first course I ordered the tempura oysters Carla had been raving about. 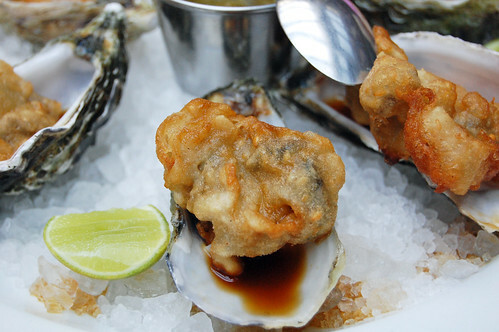 The batter carried the perfect amount of crispness while the fresh oysters had a generous yield. The addition of the serrano based salsa and lime was sublime. I love the way the Shrimp Ceviche was prepared in layers, little pillows of shrimp sitting on top of onions, tomato, and avocado with hints of spice. Another favorite of mine was the Scallops with sesame orange glaze and chili arbol, the bed of arroz con azafran was a nice complement. My wife could not pick a favorite but was oohing and ahhing over the Tuna Tartare. This one had many flavor elements packed into it. Tuna in a honey mustard glaze with layers of strawberries, mango, apple and avocado. Baby Masa was also very satisfied with simple pasta from the kids menu. It’s so funny because she kept saying “take a picture daddy” ahhhh the life of a food blogger. Most of my favorite restaurants I have reported on in Ensenada serve local seafood but they all have their own unique identities and qualities. Barra azul without question has some unique qualities that will have me coming back for more. Next week barra azul owner Alain Genchi has an exciting new restaurant opening near 1st and Ruiz called Ultramarino, I believe they will be specializing in Tapas and Botanas so be sure to check it out. 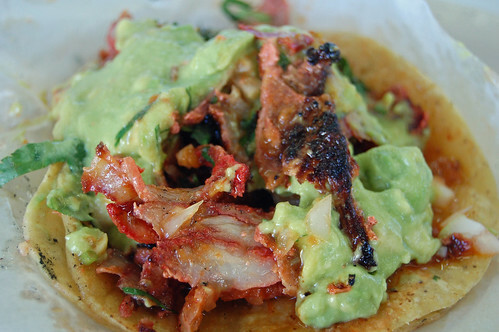 A typical day of Tijuana taco hunting usually consist of about 4-5 stops. Out of 5 stops I typically get 1 place I'm inspired to write about. Although Im not on chow.com much these days I finally made it out to Taqueria Franc which I initially found through a post on Chow. I'm kicking myself for not checking this place out before. Unfortunately Taqueria Franc was the last stop on a June Taco Hunt so needless to say I was pretty stuffed when I rolled up to the bar like seating. 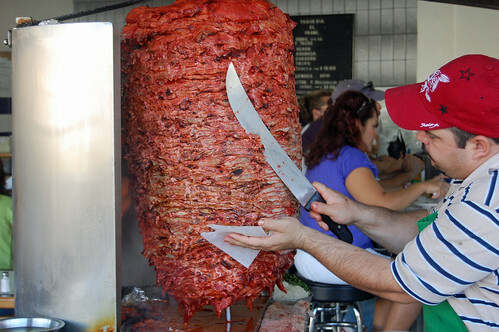 Even with all the stops on the Tijuana taco hunt I could not resist the succulent looking Al Pastor. Nothing quite like spit roasted juicy marinated Pork shaved off into a tortilla. 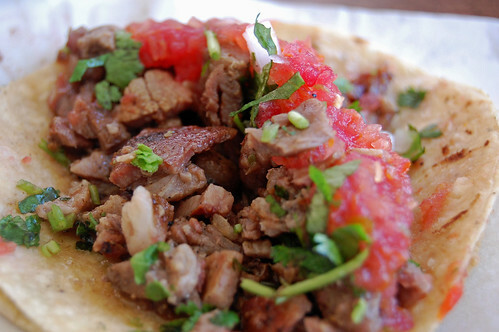 Its especially good when the pork is shaved right into a fresh warm handmade tortilla. And of course topping the hot crisp pork with some onions, cilantro and rich and creamy guacamole adds a perfect balance of textures and flavors. The tacos Al Pastor at Tacos Franc have definitely earned a spot on the upper echelons my my tacos list. The flavor of the pork alone is hard to describe, I would love to find out how they marinate the pork. A special blend of chilies, spices, and herbs bring the perfect amount heat while I also detected some sweet infusion. I feel like I committed a crime not going through some of the other offerings of Suadero, Cabeza, Tripa, Cabeza, Chorizo, Lengua, and Carne Asada. The smell from the Carne Asada over the grill was very tempting. I most certainly will be reporting back when I sample more goods and this will be my first and only stop. In addition to tacos you cheese fans can order mulitas or quesadillas. Judging from the pictures it looks like they go through mounds of fresh cheese in one night. The service was very fast and friendly and I would describe the atmosphere as vibrant. 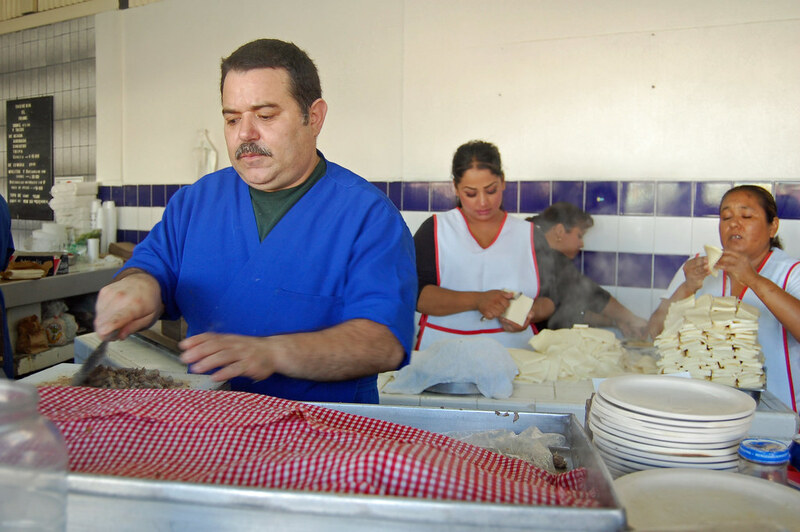 Taqueria Franc is conveniently located at the corner of Sanchez Tobado and Miguel Hildago placing it within very close proximity to the Border. They are open from Monday - Thursday 4pm to 1am and Friday and Saturday from 4pm to 4am making it a perfect choice well into the wee hours of the morning. . 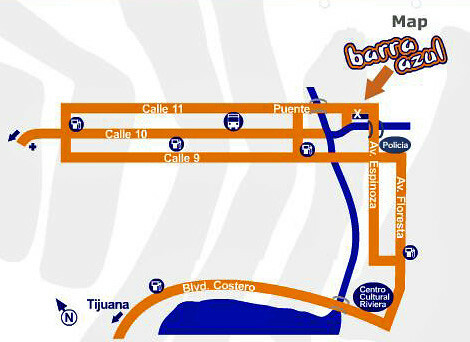 If your around the Playas De Tijuana area be sure to check out Tacos El Frances which is affiliated with Tacos Franc. I'm about a month behind on my writing but stay tuned my early July Tijuana Street Food hunt turned out a few gems I hope to report on soon until then Provecho! After my last write-up on La Cocedora De Langosta I really wanted to get back and try more of their tasty offerings. I took my brother on a culinary tour of Ensenada and he absolutely loved La Cocedora. I went back to a few of my favorite menu items from my first trip and also tried a few "Chef Specials" that I will cover in this post. One of the highlights was an outstanding salt cured swordfish salad. Its hard to image something so simple packed with flavor. 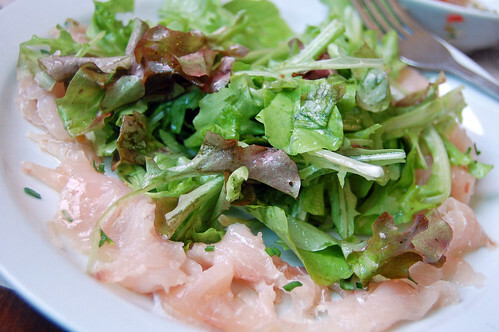 Fresh crisp lettuce together with soft buttery salt cured swordfish and olive oil. This is one of those things that doesn't look or sound like much on paper but turned out to be one of those dishes your thinking about weeks later. Sweet meets heat. Fresh Baja scallops with strawberry and Chile Morita, what can I say? A very unique combination that just works so well. 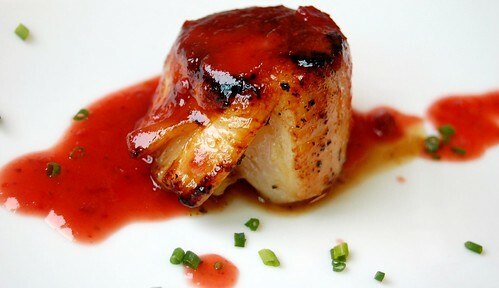 Fresh light local scallops cooked to perfection with a smoky sweet strawberry chile morita purée, what a great marriage. 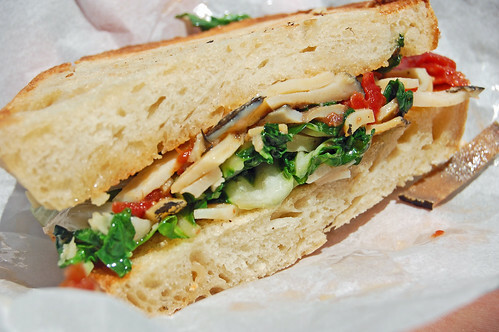 Another chef special that had us talking was a Abalone Sandwich. We took this baby to go but barely took a few steps before it was devoured. This sandwich is a perfect example of what I love about Ensenada. You have some top quality local ingredients coming out of the Valle de Guadalupe combined with some of the freshest seafood from Bajas Coast, what more can you ask for? I must add the service was exceptional once again and Chef Fabio and the friendly staff at La Cocedora are doing some great things. Go see for yourself. For hours and location please see my original post here. I have my wife to thank for guiding me to some of my favorite spots in the Tijuana communities of La Mesa and Hipódromo. My wife grew up around the area and when we were dating back in the mid 90s she took me to all the local taquerias. I’ve always loved tacos but this is the period of time that my love was solidified. 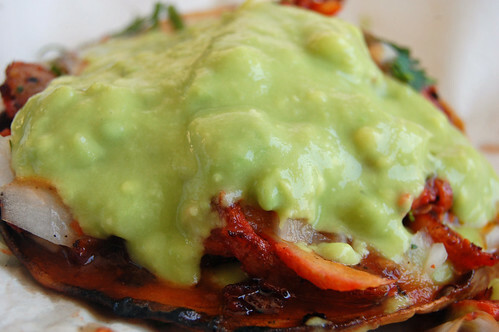 Recently we decided to go to some of our old favorites most notably Tacos El Poblano. The owner of El Poblano hails from the small town of Chaucingo Puebla Mexico and established his business in Tijuana back in 1974. The original location was located a few blocks up the street and they upgraded to the new location in 1993. If you travel throughout Baja you may have noticed several different El Poblanos and Los Poblanos. They are all independently owned by different family members so I can only speak for the quality of this original location that started it all. 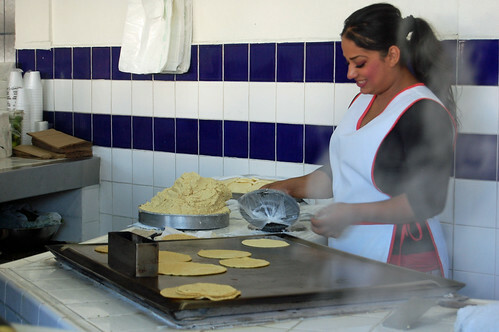 In a city brimming with taquerias what makes Tacos El Poblano worthy of your hard earned dollar? Over the course of 35 years they have perfected the process. 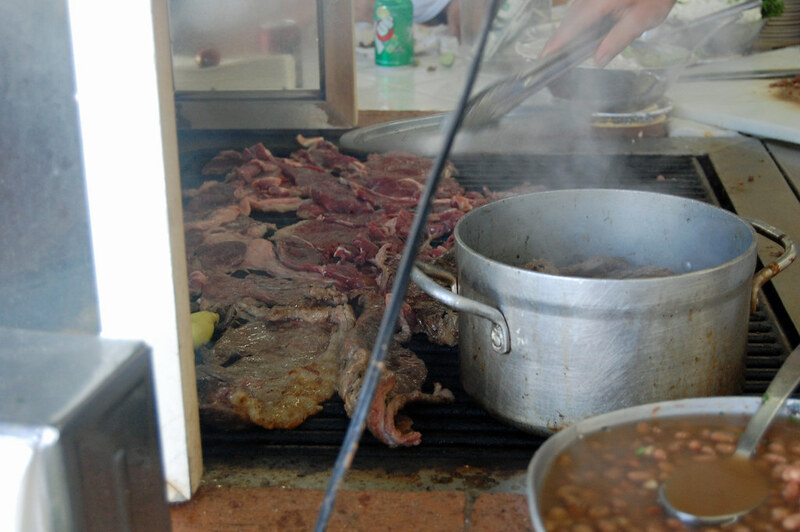 They start with three different cuts of meat, pecho, lomo, and chuleta selected from the owners very own carniceria. The three choice cuts are then coated with a special blend of seasoning. I was fortunate enough to receive a generous amount of the seasoning from the nice owner to try at home. Anyone want to come over for carne asada at the house? Once seasoned together the blended cuts are grilled over open flames of crackling carbon. 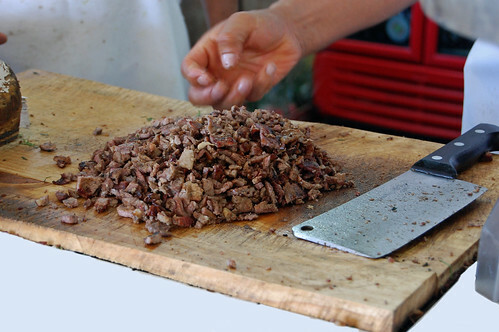 The hot and juicy blended cuts are then placed on a wood block and chopped with a cleaver. The carne is then nestled inside two griddled corn tortillas and topped with a very fresh salsa fresca and rich guacamole. The guacamole is very tasty and the perfect complement but I asked for no guacamole so the carne asada could be displayed in this photo. Tacos El Poblano serves up some enticing carne asada tacos, and they are the main purpose I love this place. 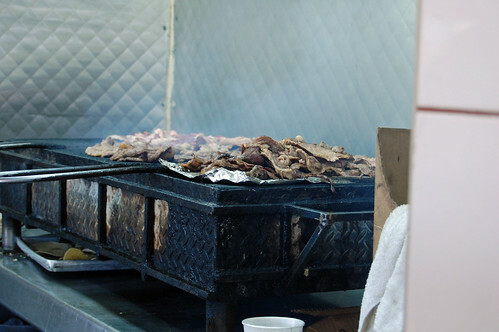 In addition to carne asada they also have adobada and birria. I have yet to try birria because it is only available in the mornings. If you looking for some crunchy texture you can order a tostadita which basically is a mini tostada with your choice of topping. 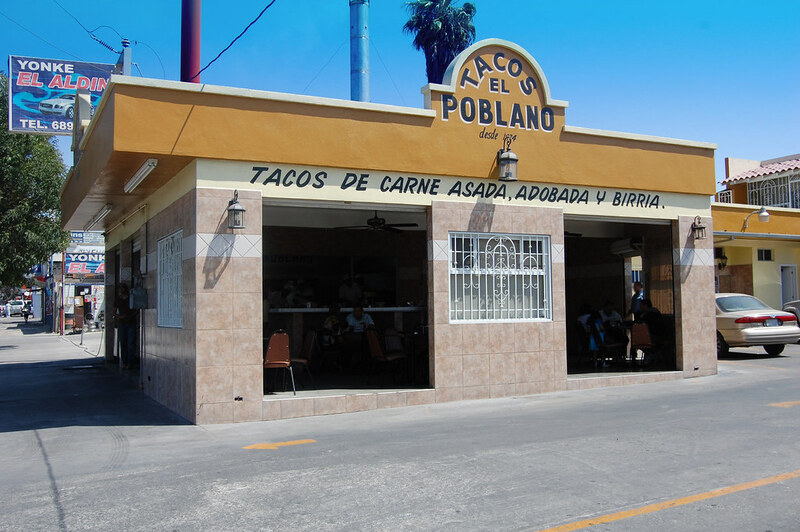 Tacos El Poblano is located at 7813 Boulevard Diaz Ordaz in the Tijuana community of La Mesa. If you’re unfamiliar with the city of Tijuana its about a 20 min Taxi ride from the border and well worth it. Those of you from San Diego will be pleased to know the owner plans to expand his operation into San Diego stay tuned. In December of last year I posted some commentary and a YouTube video on some sites about a little churro cart on University Ave in San Diego. Each Time I rolled up to the churro cart I would notice more and more crowds. I soon noticed cars lined up in the alley and people using sign language like some junkies looking for a crack fix. I knew this would be too good to last, and soon the little churro cart was forced to move. Well, by the time Churros El Tigre was forced to move they achieved a cult following of sorts. I couldn’t believe the flow of emails I started receiving from people including local media trying to get INTEL on the churro man. After many helpful reconnaissance missions by local churro lovers, the crack dealer errrrrr I mean churro specialist has been found sporting a fresh new cart at the corner of Imperial Ave and 25Th. The churros here rival any I've had south of the border. These are the thin knotted type often times referred to as churritos and sold in a bag of 7. 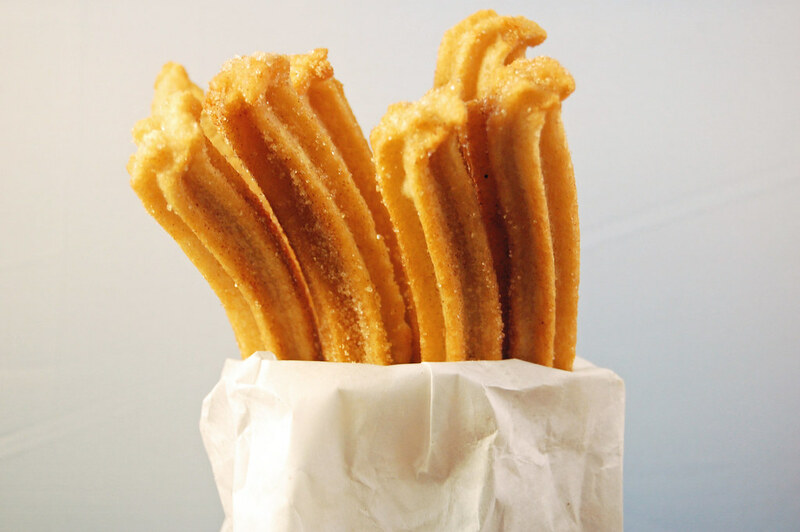 What makes these churros so special? They are soft on the inside, crispy golden brown on the outside and most importantly fried to order. No churros hardening under a heat lamp here. This cake like delicacy of dough and sugary goodness will set you back $2.00. 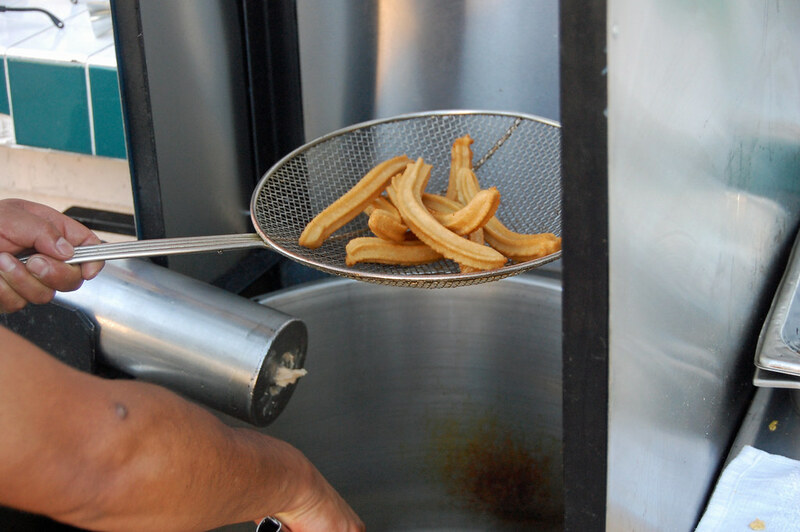 The process of churro making is quite simple. 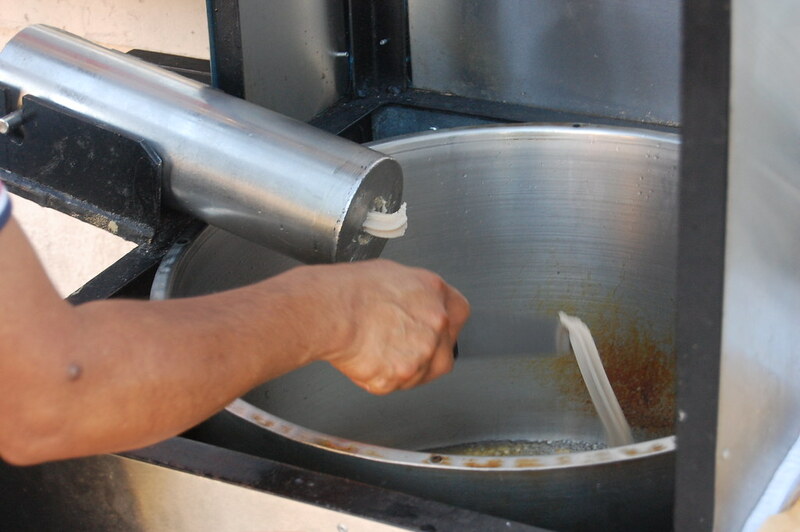 Fresh Churro dough is squeezed out of the churrera and cut into 6-inch strips before landing in fresh hot oil. 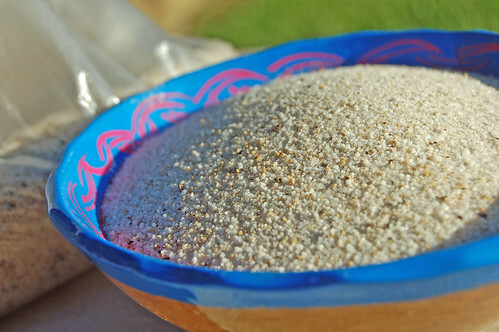 After the dough is fried to golden perfection the excess oil is strained. Lastly, a sweet cinnamon sugar mix is added. It's hard to beat hot fried dough right out of the fryer.I recommend you also save room for the Platanos machos fritos. Deep fried large "cooking bananas" (Plantains) cut into ovals, about 1/3-inch thick. Once drained out of the fryer the bananas are topped with Lechera (Sweetened condensed milk) and sugar if you choose. 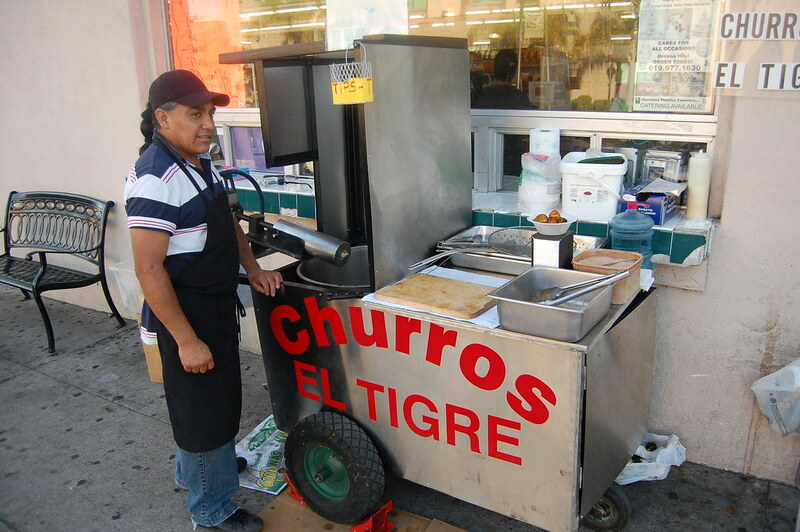 Churros El Tigre just happens to be walking distance from one of my favorite San Diego spots the "La Fachada Truck". 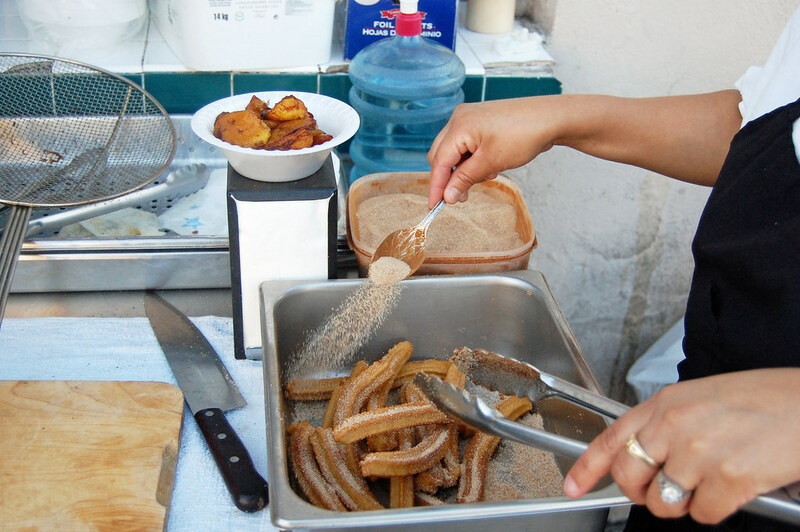 You can sit down outside at La Fachada and enjoy your churros with some some thick, hot, chocolatey champurrado. Hours of Operation are from 6:30 to 9:00 pm 7 days a week. The exact loaction is 2483 Imperial Ave at 25th St, its directly across from San Diego Police Departments Central Division. San Diego street food vendors are few and far between dont miss these, and dont blame me if you get addicted.